Batteries have been shoved well and truly into the spotlight this week. From sulphur and voltage spikes, to a battery technology breakthrough that could produce cells which fully charge in minutes and last for days rather than hours. If that wasn't exciting enough, we've got black holes, super nanosuits, and the real reason we love beer, all waiting for you in another exciting Week in Science. Microarray batteries could charge 1,000 times quicker -- Scientists may have finally made the massive breakthrough in battery technology we've all been waiting for. Miniaturisation is the key here; essentially researchers have created ranks of microbatteries, producing many, many 3D electrodes combining intertwined anodes and cathodes at the microscale. That creates a much higher surface area to volume ratio, and means that electrons don't have far to flow to complete the circuit and therefore output power quicker to where it's needed. Spikes throw your sensors for six -- If leaps in battery tech weren't enough this week, it seems the way you charge you current cell could make a difference to its life after all. 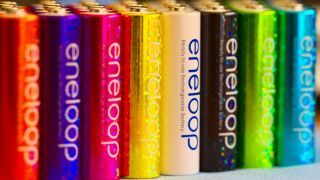 Unlike nickel-cadmium or nickel-hydride batteries, lithium-ion batteries are meant to be able to be topped up whenever -- they don't have a memory of charge. However, new research suggests that incomplete charging and discharging does have an effect on battery life. Surprising spikes in voltage were seen from incomplete charges of batteries, meaning capacity sensors were thrown way off. That could result in your phone, or more importantly, your car, thinking you have more juice than you do in your battery, running flat without warning before you get home.